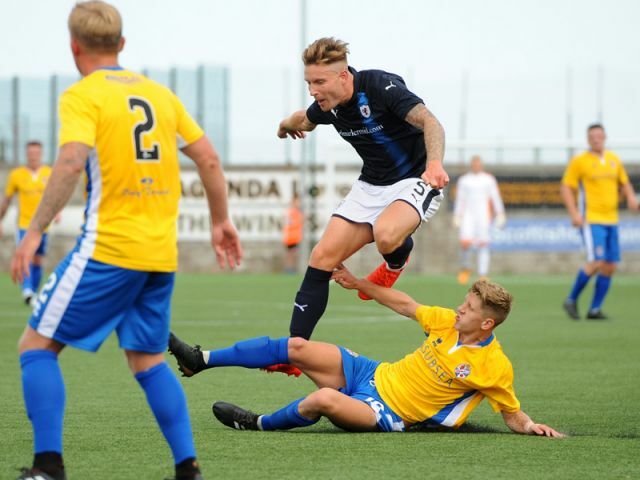 Raith Rovers season got off to the worst possible start this afternoon, as Cowdenbeath grabbed a deserved 2-0 win over Barry Smith’s side in this League Cup Group fixture. 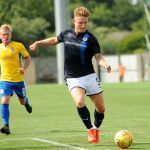 A reasonably even first-half, made way for a dominant performance from Cowdenbeath in the second-period, with two goals from Jordyn Sheerin the difference, as Rovers struggled to make any inroads against Gary Bollan’s side. The warning signs were there before kick-off, with the team sheet revealing a somewhat threadbare Rovers squad. 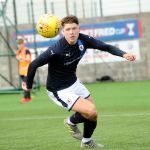 Four central defenders were strung out across the backline, with David McKay starting at right-back, while Euan Valentine and Jamie Watson started wide midfield, despite generally playing as full-backs for the Development Squad. 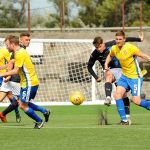 Only four new signings made it, with Robbie Thomson starting in goals, while Grant Gillespie was in the middle of the park, with Christopher Duggan and Kevin Nisbet paired together up front. The amount of players making their debuts actually outnumbered the substitutes bench, with just a trio of bodies named on the bench. 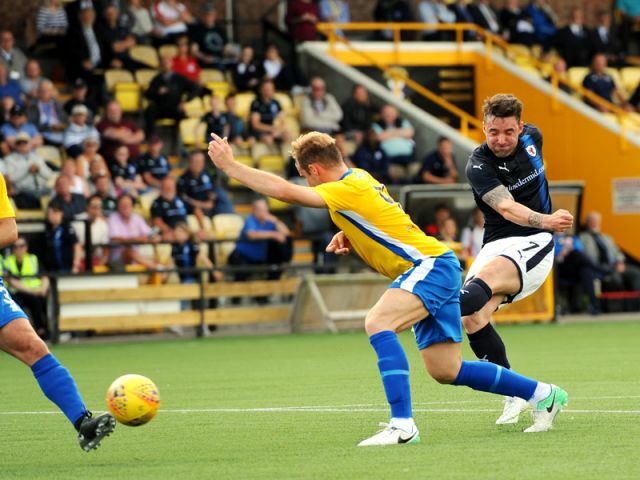 The right-back berth may have been an unfamiliar position for McKay, but he almost opened the scoring in the opening moments, crashing an effort off the underside of the bar after an almighty stramash following a Gillespie corner. Duggan then really should have opened the scoring in the tenth minute, running onto a lofted ball over the top, but after sprinting clear, he got his effort all wrong, sending it well over David McGurn’s goal. 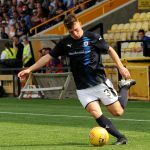 The opening passages of play suggested it might be a long afternoon for the Blue Brazil, but they started to cause problems for the Rovers defence, with Sheerin in particular using his size and presence to unsettle the Raith defenders. 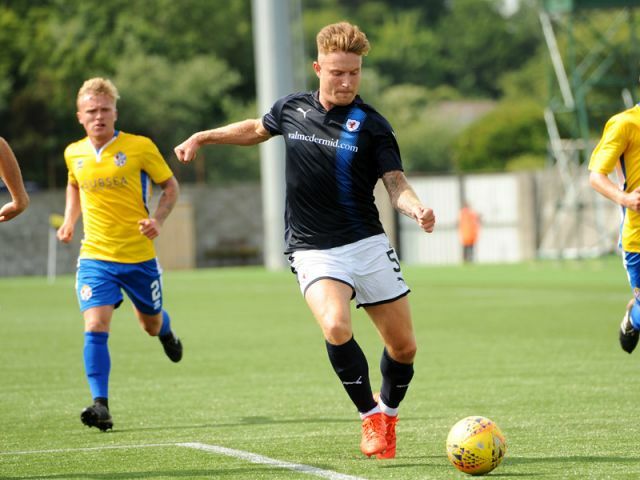 Rovers early positivity had now fizzled away, with the hard-working Cowden team starting to match them all over the park. However, they should really have taken the lead after 25 minutes, when Nisbet was able to spin away from his marker on the bye-line and pick out Duggan in space in the penalty area, but after setting himself to shoot, he could only scuff his effort straight at McGurn. 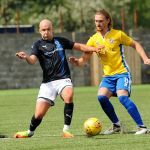 With so many defenders in the starting eleven, it was perhaps no surprise that Raith were struggling for creativity, and the longer the half wore on, the more confident Cowdenbeath appeared to become. Sheerin was the architect of their best chance after half-an-hour, turning Euan Murray with a clever drag back, and while his cross into the area was a good one, it was slightly too high for Bradley Smith, whose header lacked the pace to beat Thomson. If Rovers were to find a goal it looked like it was going to come from Duggan, with another chance falling his way with five minutes of the half remaining. Benedictus strode forward after nicking the ball off Sheerin’s toe, and although he played a neat through ball to Duggan, he was unable to manoeuvre a way past Jason Talbot who blocked his effort. There was still time for one last chance before half-time, and it fell to Bollan’s men, after the best bit of football of the half. After a fine piece of possession and a neat one-two, Robbie Buchanan found himself with just Thomson to beat, albeit from an acute angle, which allowed the Rovers custodian to block his effort and turn it behind for a corner. It had been a frustrating half for Rovers, and with so few options on the bench, it was difficult to see how Barry Smith could change things around. Things were to get a little more concerning ten minutes into the second half, as Cowdenbeath took the lead. Sheerin made headway down the right wing, and after getting the break of the ball inside the area, he continued his bee-line for goal, before flicking a shot past Thomson from a narrow angle. On the balance of play it was probably about justified, with Rovers struggling to create anything after the 25 minute mark. Rovers needed a quick response, but other than a tame 25-yard free-kick from Gillespie which was straight into McGurn’s arms, that was looking unlikely. With little or nothing coming from open play, Gillespie’s set-piece deliveries appeared the best way for Raith to get back into the game, and Murray had a chance from an in-swinging free-kick, only for his header to lack oomph, leaving McGurn with a simple task to gather. 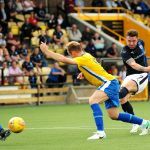 Indeed, the majority of the game was now flowing in Robbie Thomson’s direction, as the League Two side pressed for a second. They should probably have made the points safe with 20 minutes remaining, when Fraser Mullen played a ball down the left for Sheerin, but his cross across the goal just evaded Bradley who couldn’t turn it home. The three points were sealed however, after some calamitous defending allowed Sheerin in to claim the second. 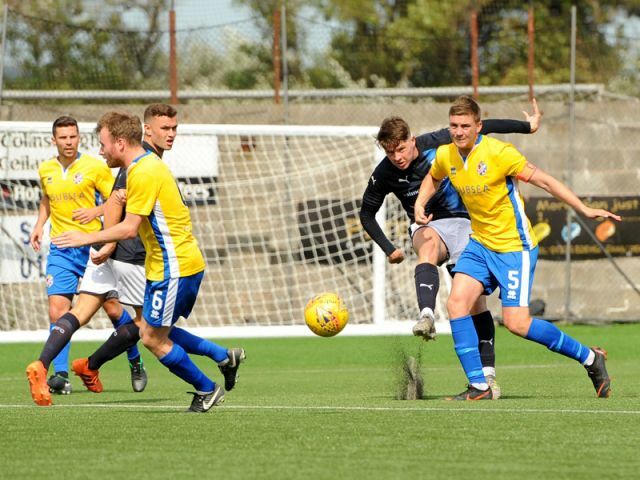 A long ball forward saw Benedictus get to the ball ahead of the Cowden striker, but his touch didn’t reach Thomson, who had the ball prodded past him by the former Kelty forward. 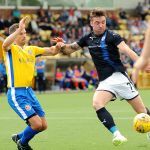 With Hearts up next Saturday, Barry Smith will be hoping to clear some of his injury list in time for the visit of the Jambos. Welcome to New Bayview for todays BETFRED Cup match against Cowdenbeath. It's 23 degrees and slightly cloudy. Rovers kick off towards the sea end. Rovers second corner on the trot, McKay hits the crossbar and the ball is cleared. Rovers 3rd corner sees Matthews squad to Gillespie who is offside. Watson picks out Duggan on a run, he goes clear bur skies the ball over the bar from 20 yards. Ex Kelty striker Sheerin is denied by Davidson who concedes a corner. The game has settled down to a midfield battle at the moment. Both sides guilty of hitting long passes out of bounds. 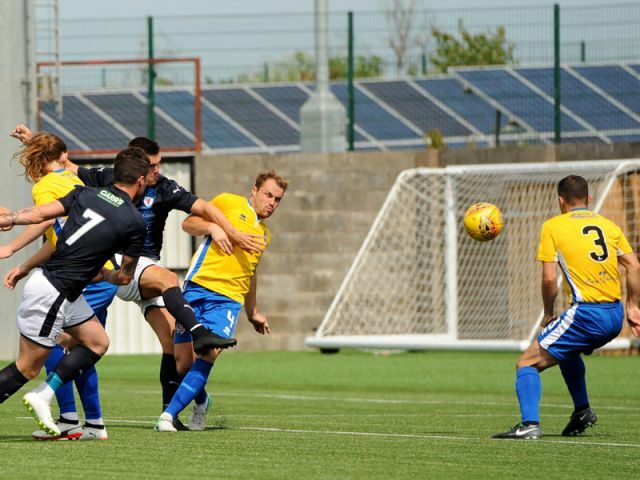 Cowdenbeath repel consecutive corners. Raith Rovers 0-0 Cowdenbeath. Nisbet on the bye line finds Duggan who hits the ball low but The Witch gathers. Duggan one on one with McGurn, The Witch wins the foot race and clears. Benedictus heads clear a cross but is fouled in the process. Smith with a looping header sees Thomson jump to gather. Dave McKay shields the ball for Thomson to deny Smith. Cowdenbeath with a spell of possession, Talbot with a couple of blocked shots. Benedictus released Duggan whose shot goes behind for a corner. The corner comes in and McGurn is adjudged to have been fouled. Smith passes to Buchanan whose shot is blocked at near post. Sheerin with a lob, Thomson diving to collect. Half time. Raith Rovers 0-0 Cowdenbeath. Cox with the first shot of the second half, a deflection which is gathered by Thomson. Nisbet muscled off the ball by Piper as he tries to get clear. Cox receiving a lecture from Mr Reid. Piper breaks up a move engineered by the two Euans. Goal Cowdenbeath. Sheerin beats Benedictus, his first shot rebounded and he slotted home from a tight angle at the near post. 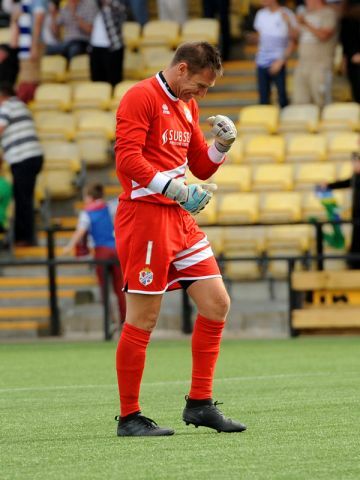 Play stopped as Sheerin tried to change his boots on the pitch. Gillespie free kick from 25 yards loops the wall straight into the arms of McGurn. Gillespie free kick wide left finds Murray with a low diving header which rolls into the arms of McGurn. Murray heads a cross clear but is bundled into the net by Thomson. Murray returns to the field. Sheerin with the cross, Smith denied 6 yards out by McKay. Piper lays out Nisbet whilst clearing the ball. Marsh off, Scott on. Davidson off, Stevenson on. Rovers trying for the equaliser but their first touch is letting them down. Goal Cowdenbeath. Benedictus tried to knee the ball back to Thomson but the advancing Sheerin nippedin to slot home from 16 yards. Attendance 634, 104 Cowdenbeath supporters. McGurn, Mullen, Talbot, Piper, Marsh, Miller, Cox, Malcolm, Sheerin, Buchanan, Smith. Subs, Swann, Fotheringham, Muirhead, Scott, Goodfellow. 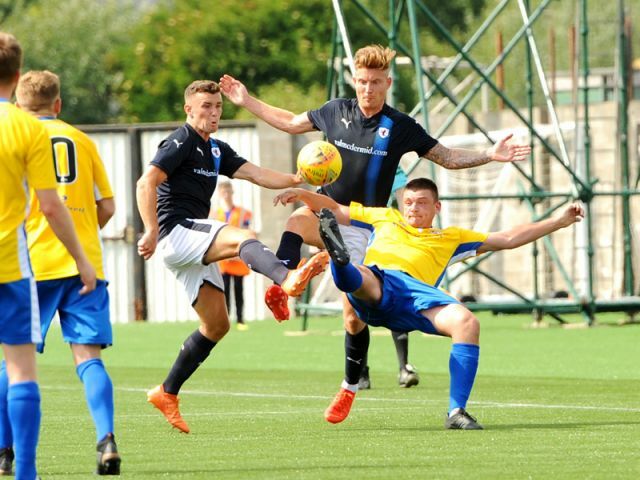 Raith Rovers competitive campaign kicks off with a Fife derby this weekend, with both themselves and Cowdenbeath the visitors to Bayview Stadium Methil, with Stark’s Park out of commission, as work continues to lay the new synthetic turf. 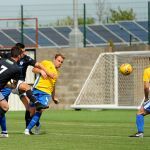 The two teams met at the same stage of the competition last season, with Rovers running out 2-0 winners, thanks to goals from Lewis Vaughan and Liam Buchanan. 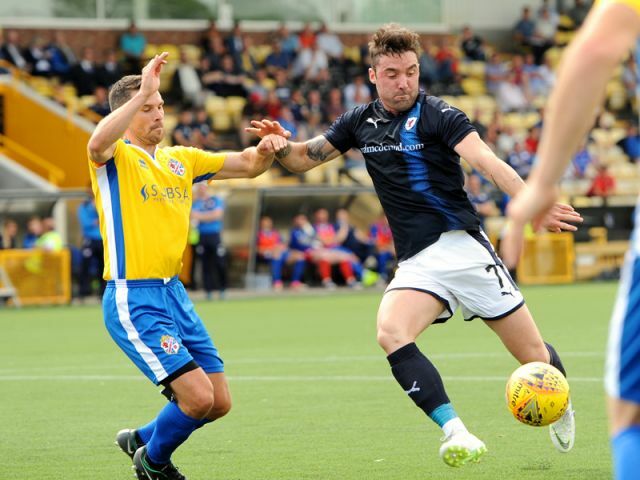 That game was essentially a dead rubber however, with neither side able to qualify, with the two Dundee clubs securing the top two positions in the group. 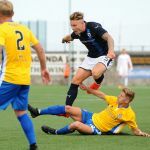 With Hearts, Inverness Caledonian Thistle and Cove Rangers the other sides making up this season’s pool, it’s a tough ask for either of the Fife clubs to make the next stage this season, with only the group winner guaranteed to go through, while the four best runners up from the eight groups making the next stage. 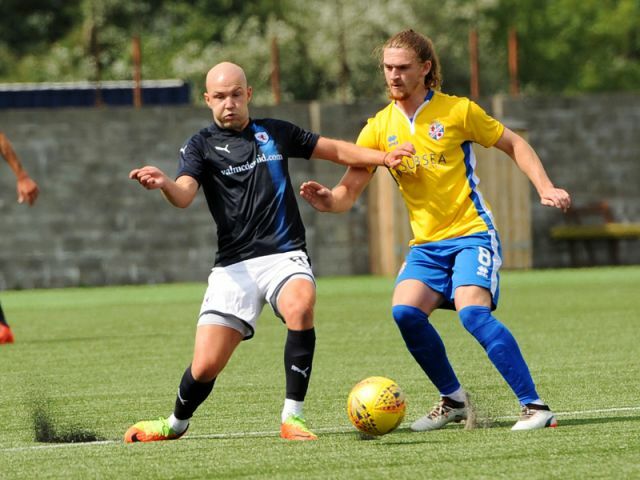 Cowdenbeath manager, Gary Bollan has rebuilt the Blue Brazil side over the summer, as the club again stayed in the SPFL by the skin of their teeth last term, after a 3-2 aggregate win over Cove Rangers, in a tousled, bad-tempered playoff tie in May. 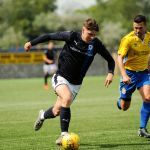 Thirteen players have departed Cowden over the summer, with seven being added, although the squad looks the stronger for it, with a fair amount of pedigree amongst the new recruits. 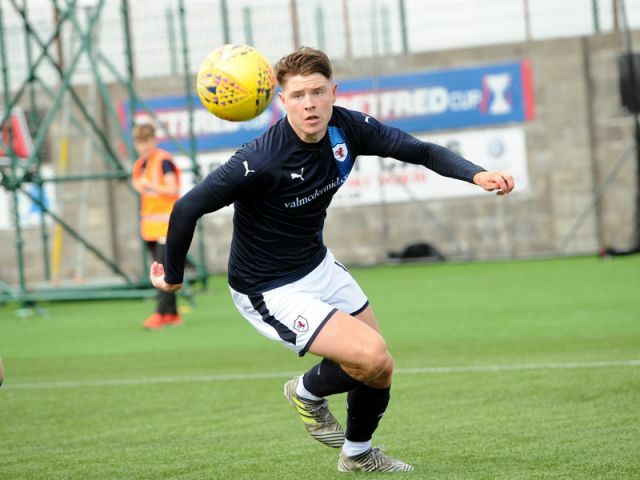 Left-back, Jason Talbot has been recruited from Dunfermline after his release over the summer, while former Raith midfielder, Martin Scott has also signed up, after leaving Stenhousemuir, who were promoted from the basement division last season. 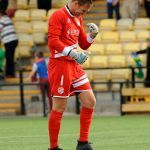 Centre-half, David Marsh has also made the exact same journey, while former East Fife goalkeeper, Ryan Goodfellow will be expected to fight for the number one position with the present incumbent, David McGurn. 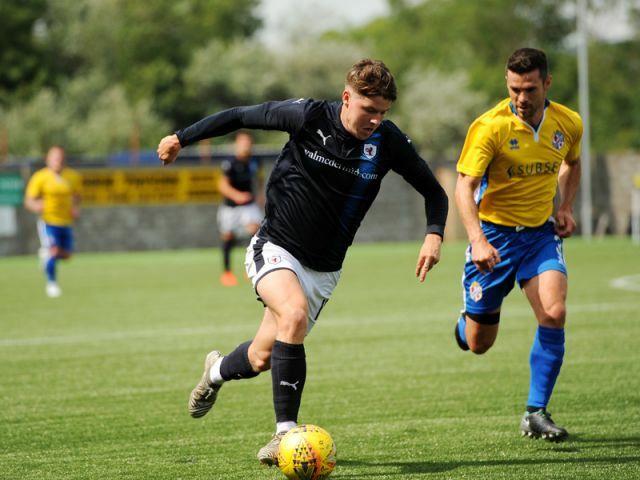 Midfielder, Blair Malcolm has been added after impressing in a loan-spell at Central Park last term, as did Jordyn Sheerin, who’s joined permanently after leaving Kelty Hearts. 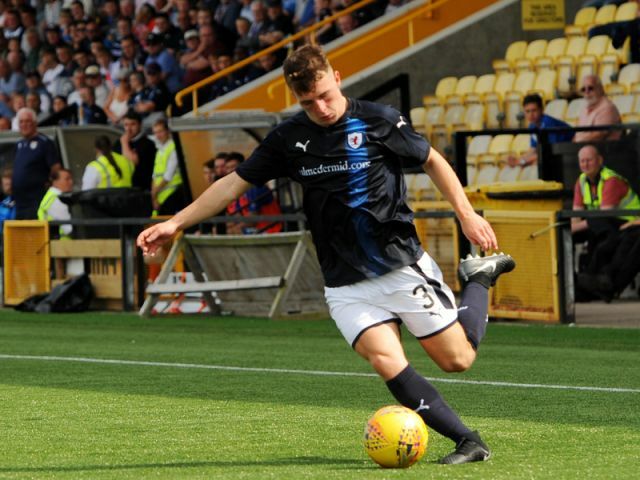 Lastly, Kris Renton has also returned to the club, after spending last season at Alloa Athletic. Rovers have been the dominant side over the last few years in this fixture, winning six and losing three of the last 10 meetings between the clubs.